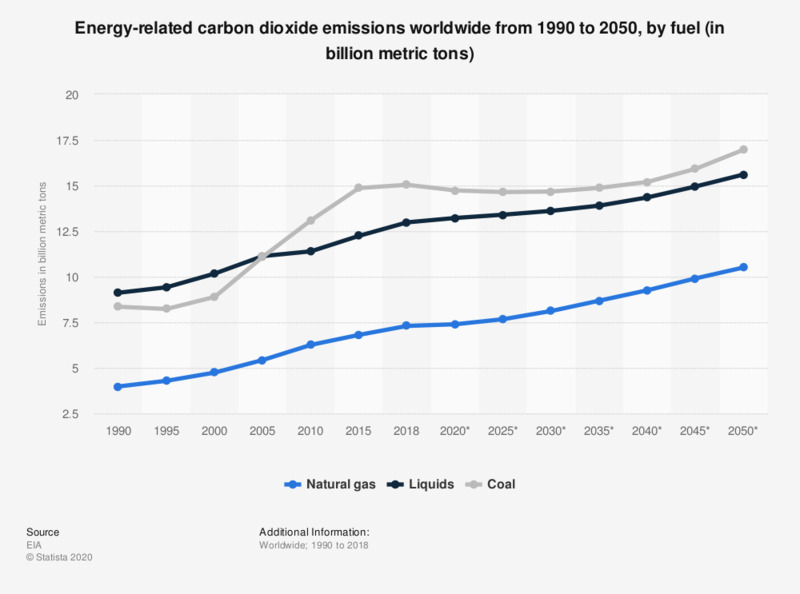 The statistic represents global energy-related carbon dioxide emissions between 1990 and 2015 with projections until 2050, broken down by fuel type. Globally, coal carbon dioxide emissions are expected to reach 15.52 billion metric tons by 2050. * The figures for 2020 through 2040 are projections. The forecast was made assuming no basic changes in present policies.